The New York City headquarters of Bustle. Jonica Moore Studio, Courtesy Bustle. Bustle, a New York City-based news site aimed at millennial women, has raised $11.5 million in new funding led by Saban Capital, with participation from GGV Capital and existing investors General Catalyst Partners, Time Warner Investments, and Social Capital. Richard Yen of Saban Capital will join the company’s board. 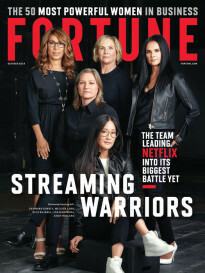 The media company, founded in 2013, has amassed an audience of 32 million, most of which are young women between the ages of 18 and 34, according to comScore. The site’s advertisers, including Campbells and Adidas, purchase packages that include a mix of native advertising, traditional display ads, and video. Last year, Bustle hit its revenue goal of $10 million. The company expects to “substantially outperform” its goal of $20 million for 2016, according to CEO and founder Bryan Goldberg. The past two years have seen a frenzy of venture investment in new media companies. 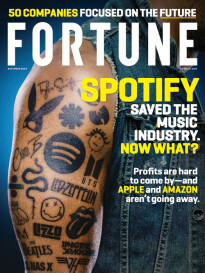 The biggest players—BuzzFeed, Vox Media, and Vice—each raised more than $100 million last year, while smaller companies like Mic and Refinery29 racked up respective $17 million and $50 million rounds as well. Business Insider sold to Axel Springer for $343 million, or a multiple of 11 times its revenue. Bustle has previously raised $27 million in venture backing. Goldberg is calling the new money “confidence capital.” “We didn’t need to go do the $50 million raise that some other sites have been doing,” he says. The money will go toward investing in experiments like video on social media outlets (Facebook videos can’t easily monetizable right now, for example), publishing on new platforms, hiring more support staff for the sales team, and hiring more engineering talent. The last point is particularly crucial. “Technology matters a lot more for media than it did two years ago,” Goldberg says. Specifically, media companies must build ways to easily distribute their content onto multiple platforms. Google’s Accelerated Mobile Pages program is one distribution platform that has become a large source of web traffic for Bustle. Likewise, in November 2015, Bustle launched Romper, a site aimed at millennial moms, which now has 3.5 million monthly unique visitors, according to Bustle’s internal numbers, and a dedicated staff of eight.